Rejang River is the longest river in Malaysia, and Sibu town is just along this river. Apart from the plane, I never see the town and the river from aerial view anywhere else until one day when I was at the mayor’s office. I’ve been to the mayor’s office many times, but never really step outside the balcony to watch the view because the door was always closed. What standing between the balcony and the mayor’s office is the transparent glass door. But the view is blocked by …what do you call that…high fence?… at the balcony. So, that fateful day, I looked outside, and I thought ‘no wonder people loves skyscrapers’. It is such a beautiful sight. So…a little tourist time here. 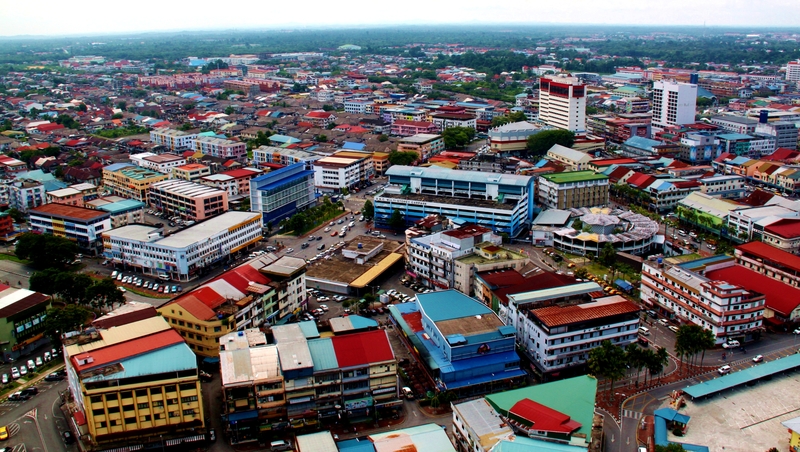 Sibu is not a city…okay..but it is a developing town. 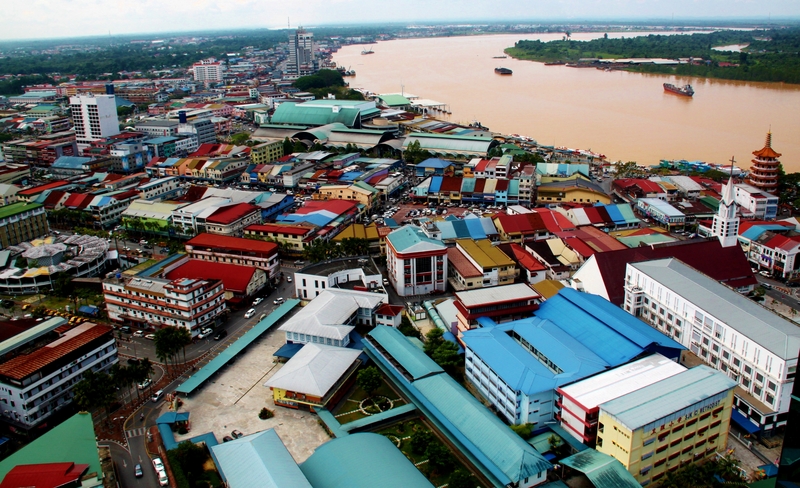 The town owes much of its growth and prosperity to the mighty Rejang River. It is a business town, soon to be very busy in the next few years, I believe. It is a place where the modern world, nature, tradition and culture mixed up together. At some point, maybe or maybe not. Since I became a reporter, I met a lot of people, whether from the streets, or from businesses, or from the authorities, I learned a lot from them. When I went for the job interview, I remember the chief told me ‘Journalism is about growing, you’ll learn more about yourself in this job’. And I believe its true. And not only I learned more about myself and trying to improve the areas I needed to improve, I learned more about Sibu too. The town where I grew up. Being an observer to this town and through many meetings with people, I finally able to see Sibu from another perspective. Not in a tourist eyes, but in the eyes who had always been a part of community of Sibu. I realized that the town is full of heritage with interesting history. I think it is a sad thing that the Education Ministry never encourage the students to learn more about their own town. It is such an important subject. A few months ago, the municipal council launched the Sibu Heritage Trail that features the nine heritage sites. They are Sibu Heritage Centre, Sibu Old Mosque, Warriors Memorial Site, An-Nur Mosque, Oldest Muslim Cemetary, Lau King Howe Hospital Memorial Museum, Hoover Memorial Square, Tua Pek Kong Temple, and Sibu Central Market. It is part of the council’s effort to promote tourism in the town. I also realized that the community spirit is very strong. Because they love the people of Sibu so much, associations established memorial parks with history of the early Sibu. The town is so rich in culture and heritage, if it went unexplored it would be gone forever. Nobody will know that Sibu is called the ‘little Foochow’ or it was brought up by Christians missionaries. It is also a town of cultures and festivals, and famous for its delicious and affordable local cuisine. From Kampua, Dian Miang Ngu, to Bien Niuk to Kompia…they are the favourite among the locals and tourists. Given the name as the Swan town, Sibu is steeped in the colourful history of the early Foochow immigrants led by Wong Nai Siong who were in search of a better life. 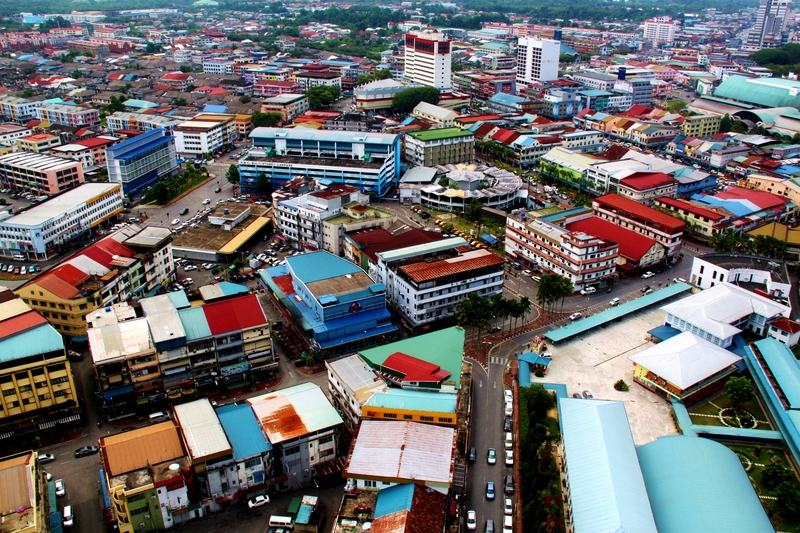 Today, Sibu is a fascinating and thriving modern town with vibrant centre. Most importantly… I asked some of the tourists ‘what were their first impression on Sibu town?’ And they always say the same thing ‘The people are so friendly and loving’. Now that really put the smile on my face. Hey..geez..thank you for your kind comments. God, I haven’t post anything for a few months now actually, due to some circumstances. But, new year, new hope, new adventure, dreams get bigger…new life. I like to say this to myself. Haha. And I’m looking forward to get active again. I am not a pro in this thing (though I hope someday i would)…i’m not sure an amateur like me could give you a very good advice though. My grammar is all over the place, I was so scared no body would ever read my blog in the first place. But, from my past experience, I learned to be consistent in every post, to ensure consistent readership. I started off bad, so…yeah..i was fearful, and a bit shy because of my poor writing…but I kept writing…And there are lots of room for improvement. Second thing, I read other people’s blogs a lot. So, yeah..i would advice you to do that…read and leave comments. We love comments. I know I do. I’m always happy to see comments. Good or bad (must be constructive one).